Culinary Delights and New Experiences! 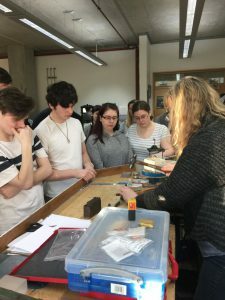 Yet again our students have had a busy week taking part in a variety of events and engaging in activities that broaden and enhance their learning. 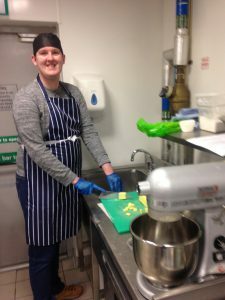 From assisting and teaching each other to producing delicious meals and fantastic works of art, our students have shown they have a varied range of skills. Read on to find out what they have been involved in over the past week. Level 5 Art student, Ryan Flynn, pictured at our West campus, along with his glow in the dark painting. 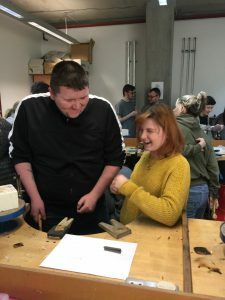 SFL learners joined the Jewellery HNC students for an hour and a half lesson. Jewellery learners worked one to one with eight SFL learners in metal texturing and metal stamping. 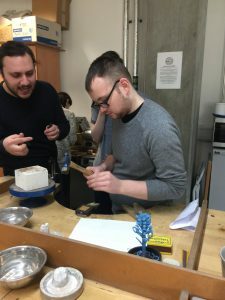 The learners were able to design and create individual bespoke pieces. The purpose of the exercise is for the Health and Well Being Award- looking at ways to improve Mental Health. The SFL learner measured their own moods before and after the activity. All SFL learners noticed an improvement in their moods. 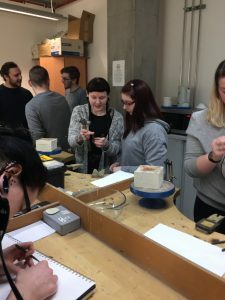 As an afterthought, it was decided to assess the Jewellery student’s mood- and interestingly they too all showed a significant rise in mood. The “giving” of their time and skills was as effective for them as the “learning something new” was enjoyable for the SFL learners. 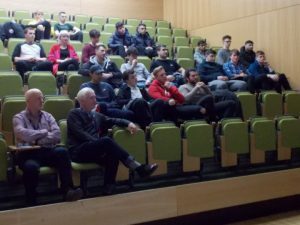 This week Year 1 HND Civil Engineering hosted a guest lecture from Peter Robinson, Head of Engineering for Scottish Canals. 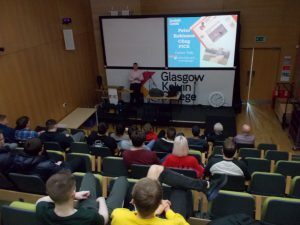 He delivered a very informative and enjoyable lecture taking in his career as a Civil Engineer, the history of canals in Scotland, and gave us an insight into the some projects Scottish Canals are most associated with; the Falkirk Wheel, and The Caledonian Canal. He also gave the students and staff a top secret preview of a future Glasgow tourist attraction! Sorry, we are sworn to secrecy... A big thank you to Peter for his time. 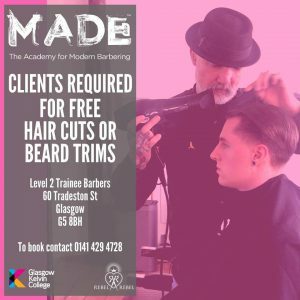 Our trainee barbers are completing week 4 of intense training (and we mean intense), and now calling out for clients to come and assist in their learning journey by getting a FREE haircut. 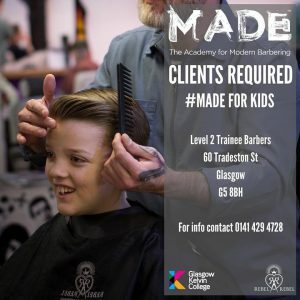 If you, your friends, family inc. kids have any spare time Monday to Friday between 11am and 6pm please phone for appointment or email tleavy@glasgowkelvin.ac.uk. ALN learners are planning to take part in the Aye Write! 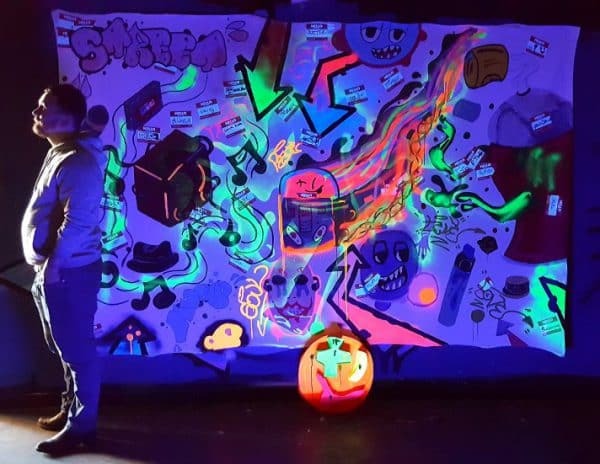 Festival this year. They are coming up with some group writing on this year's theme - Happiness and Laughter. We also have a learner completing a short story to be included and another learner who will be performing his creative writing to an audience. The festival takes place in March and all work will be displayed at the Glasgow Concert Hall. Very exciting! 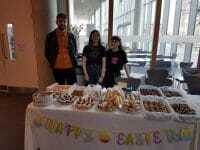 Sustrans is a sustainable transport charity and they are running a volunteering program called Travel Champions, giving the opportunity to students to promote Active Travel within their institution. 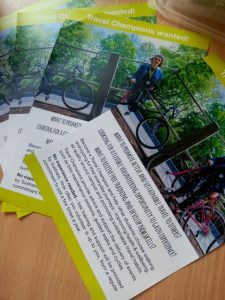 Students who want to take part of this initiative are helping other students to choose walking and cycling for their everyday journeys and they also provide support to the delivery of events. 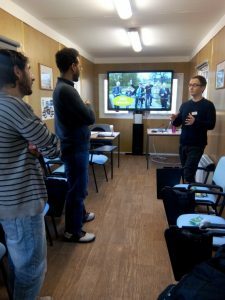 Although being a Travel Champion means offering a regular commitment, it particularly allows students to access FREE training sessions, improving their knowledge about bike maintenance, behaviour change or how to lead a ride, among many others. 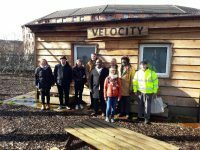 GKC is now part of this initiative and to kick it off, we hosted an induction event on Thursday 24th January at the GK Velocity Cycle Hub. It was a very enjoyable moment and a good opportunity to share and discuss ideas. 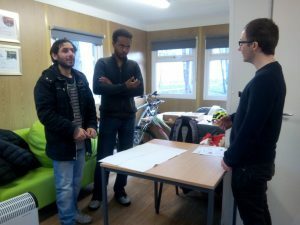 Students have been asked to think about the benefits and the obstacles of walking and cycling. 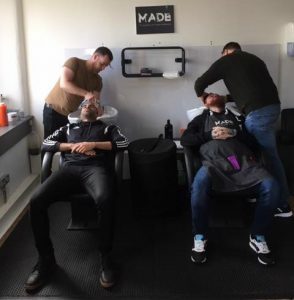 A huge thanks to Jamal and Mahmoud for their enthusiasm! They will work with the Campus Cycling Officer, Sandra from next month and will provide support to deliver the events coming at the College! 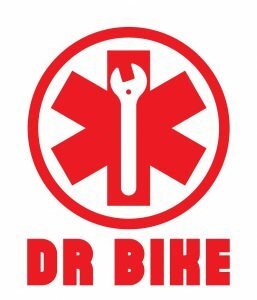 More Dr Bike Sessions To Come! 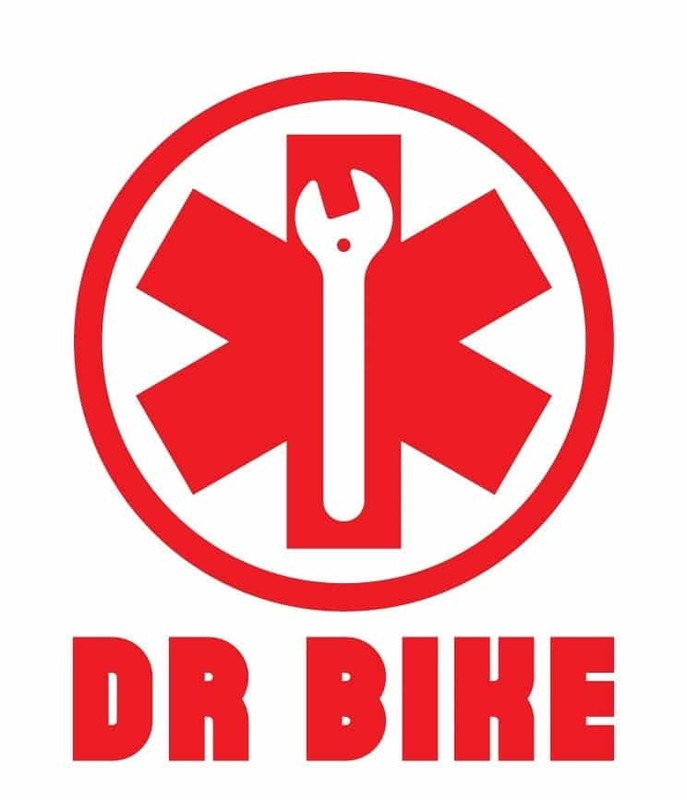 Did you miss the first Dr Bike session at Springburn campus in January? Don’t worry, there will be more to come! As a reminder, these sessions will provide students and staff with the opportunity to get a FREE maintenance check on their bikes by skilled mechanics. To get more information, follow @GkcSustain on Twitter or the GKC Facebook page. 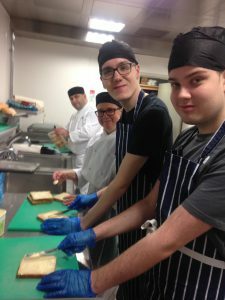 The College was excited to hold Burns' Suppers/Lunches at both its Easterhouse and East End Campuses last week, with the full menu of Haggis, Neeps and Tatties getting a gourmet twist for the delighted diners. The Haggis was piped in with full honours at both venues and addressed appropriately. Huge congratulations go to the students and staff whose efforts ensured a richt guid time was had by all! 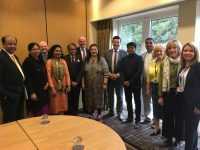 The College was pleased to host the Glasgow Colleges' Regional Board Meeting this week at our East End Campus. Our thanks go to the staff and students from Hospitality and Catering who provided a delicious lunch for GCRB members. The pictures below show students preparing the lunch. 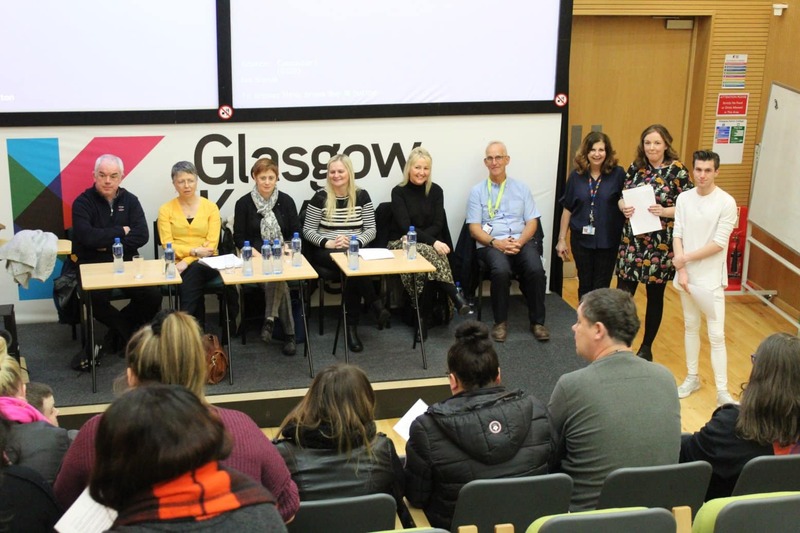 Following on from a successful ETA last year where teaching staff and students from Faculty of Healthcare & Community Learning invited practitioners along for a question time session, the experience proved so worthwhile that it warranted a repeat performance. 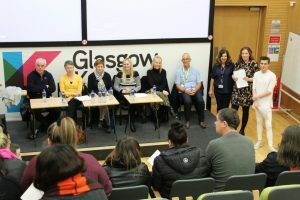 At a lighthearted event with a serious mission, representatives from Glasgow Disability Alliance, North Lanarkshire Council Social Work, Stirling University, Includem, Lifestyle & Wellness and Crossreach were grilled by students, asking a wide variety of searching questions ranging from children's mental health and social media, through to the impact of Brexit on care services. Students and staff got a lot out of the event which is an excellent and interactive way to engage students and provide real-life experiences of individuals involved in front-end care practice from the public and third sectors. Our thanks go to our partners for supporting this exciting event and a big well done to the staff and students involved. They're all looking forward to next year! That's us finished for this week, but we will be back next week with more news and updates. 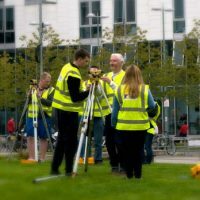 If you have anything you would like included, next week or in future Blog updates, please email the details to Tracey on tborland@glasgowkelvin.ac.uk and we will makes sure it is included.